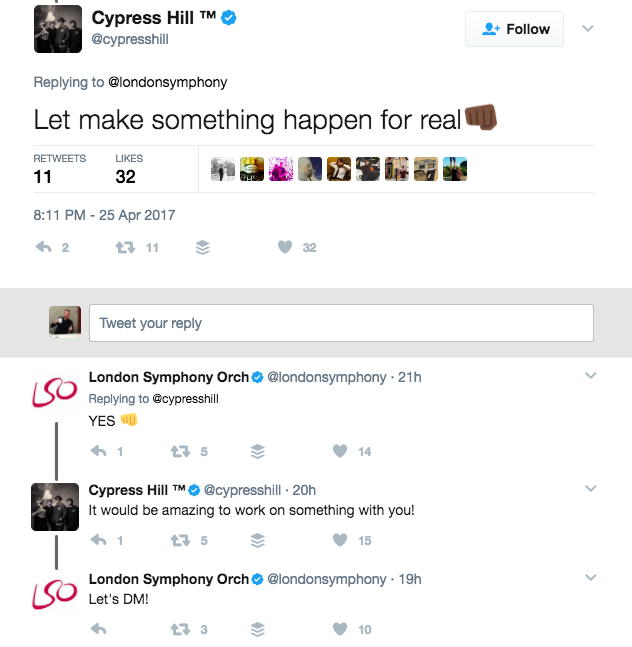 "Who is playing with the London Symphony Orchestra? 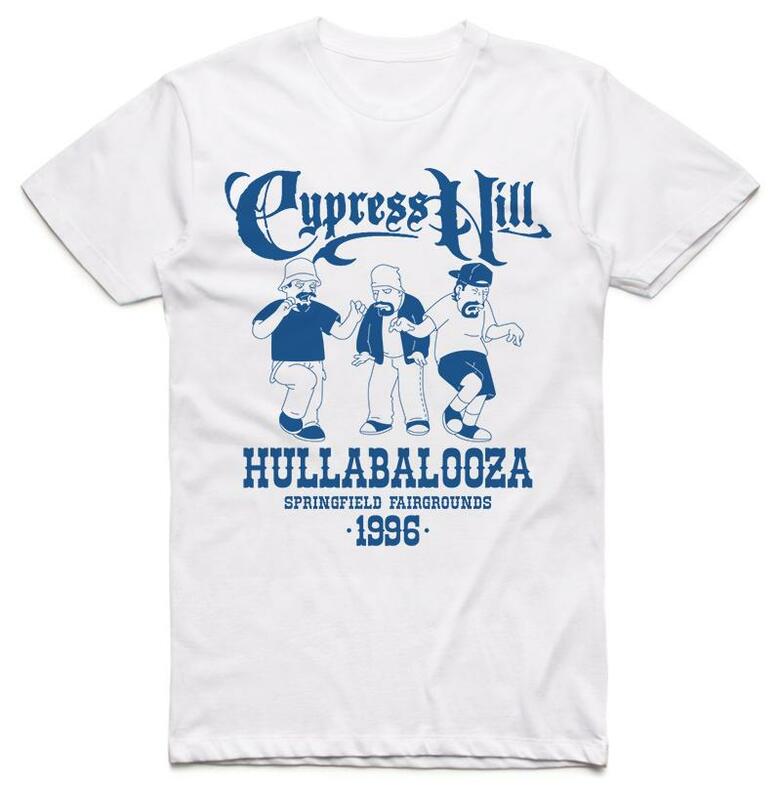 Somebody ordered the London Symphony Orchestra..."
The Simpsons Tattoo Instagram page is selling these Cypress Hill 'Hullabalooza' t-shirts which coincides with real life discussions about a collaboration between the Hill and the London Symphony Orchestra via Twitter. 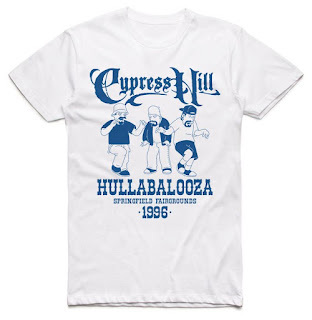 This is a truly outstanding idea and should have The Simpsons and Cypress Hill fans in high spirits. You can order yours HERE in WHITE, GOLD or LIGHT PINK in Large sizes only through pre-sale. More details available via the merchant. After some twenty plus years since the 'Homerpalooza' episode of The Simpsons it looks like the joke could become a reality. 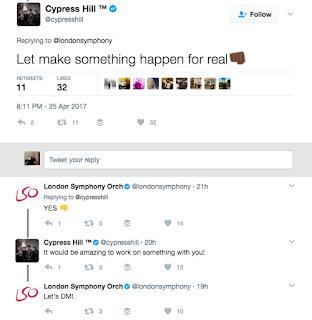 The buzz has somewhat died down since the last tweet exchange, but I for one would love to see the Barbican Centre full of baked fans, orchestra players and the Hill making something 'loco en el coco' happen in the near future.